NOTE: This text comes from Gustave Eiffel's book "The 300m tower". It follows explanations on the choice of materials and describes the stages of the establishment of the commission ruling on the construction of a metal tower 300m high, then the signing of the contract between the contractor Eiffel and the city of Paris. I will be able to make, for the history of this period, large loans to the magistral General Report of Mr. Alfred Picard, Inspector General of Bridges and Roads, Section President to the Council of State, today Commissioner General of the Exhibition of 1900. "These indications (on the high metal piles) highlight and show at the same time how much in the most considerable works we had remained far from the height assigned to the Tower of the Champ de Mars. Mr. Eiffel's broad role in the study and execution of work of this kind: by his science, his experience, the considerable progress he has made in assembly processes, of his workshops, this eminent builder was the perfect choice to undertake the colossal work that has definitively established his reputation. The company was well-suited to tempt a skilful, experienced and daring builder, like Mr. Eiffel: he did not hesitate to assume the charge and submit firm proposals to the Minister of Commerce and Industry, in order to understand the Tower as part of the 1889 World Fair. In the mind of Mr. Eiffel, this colossal work was to be a brilliant manifestation of the industrial power of our country, attesting to the immense progress made in art metal constructions, celebrating the unprecedented growth of civil engineering during this century, attracting many visitors and contributing greatly to the success of the great peaceful assizes organized for the Centenary of 1789. 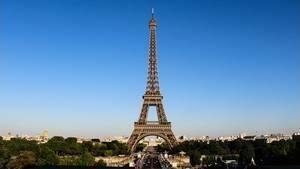 Competitors will have to study the possibility of raising on the Champ de Mars a square base iron tower, 125 meters wide at the base and 300 meters high. They will include this tower on the plan of the Champ de Mars, and, if they deem it suitable, they may present another plan without the said tower. 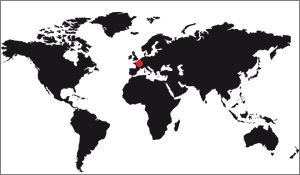 It can be said that from that time work was decided in principle. 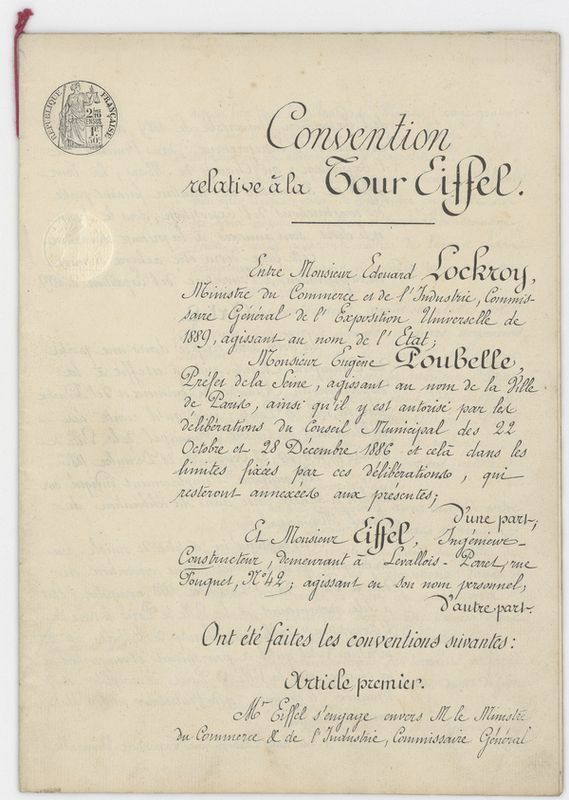 A few days later, on May 12, 1886, Mr. Lockroy set up a Commission for the study and examination of the project of execution which I had presented. This Commission was composed as follows: The Minister of Trade and Industry, President; - MM. J. Alphand, Director of Works of the City of Paris; - G. Berger, former Commissioner for International Expositions; - E. Brune, architect, professor at the Ecole des Beaux-Arts; - Ed. Collignon, chief engineer of the Ponts et Chaussées; - V. Contamin, professor at. the Central School; - Cuvinot, senator; Hersent, President of the Society of Civil Engineers; - Hervé-Mangon, Member of the Institute; - Ménard-Dorian, MP; - Molinos, Director of the Forges and Steelworks of the Navy; - Admiral Mouchez, Director of the Observatory; - Phillipps, Member of the Institute. The Commission met at the Ministry of Trade and Industry, May 15, 1886. In this first meeting, the Minister recalled that the final adoption of the project presented by MG Eiffel remained subordinate to the subsequent decisions of the Commission of control and finance, and that the current Commission was exclusively responsible for examining the project from a technical point of view and issuing a reasoned opinion on the benefits it presents and any changes it might entail. The Commission heard the explanations given by Mr G. Eiffel and entrusted the detailed study of the plans and the verification of the calculations to a Sub-Commission composed of MM. Phillipps, Collignon and Contamin. 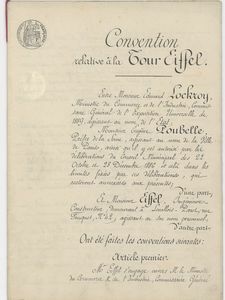 "On January 8, 1887, Mr. Lockroy , Minister, Commissioner General of the Exhibition, Dustbin, Prefect of the Seine, duly authorized by the Council Municipal, and Eiffel, bidder, signed an agreement under which the latter definitely committed to run the 300-meter tower and put it into operation at the opening of the Exhibition of 1889. 3. The continuation of enjoyment for twenty years from January 1, 1890. At the expiration of this last period, the enjoyment of the Tower was to return to the City of Paris, which was also substituted for the State in the property of the monument, soon after the Exposition."